The myelin membrane synthesised by oligodendrocytes in the central nervous system (CNS) and Schwann cells in the peripheral nervous system (PNS) provides electric insulation to axons thus enabling the fast saltatory impulse conduction essential for vertebrate nervous system function. Moreover, myelinating glial cells provide trophic support to neurons which is not understood in molecular terms. 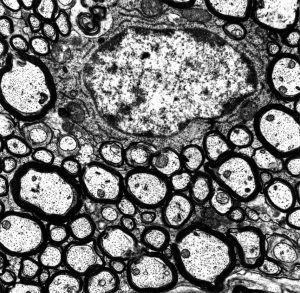 Myelin is produced and maintained in response to bidirectional communication between neurons and glial cells. 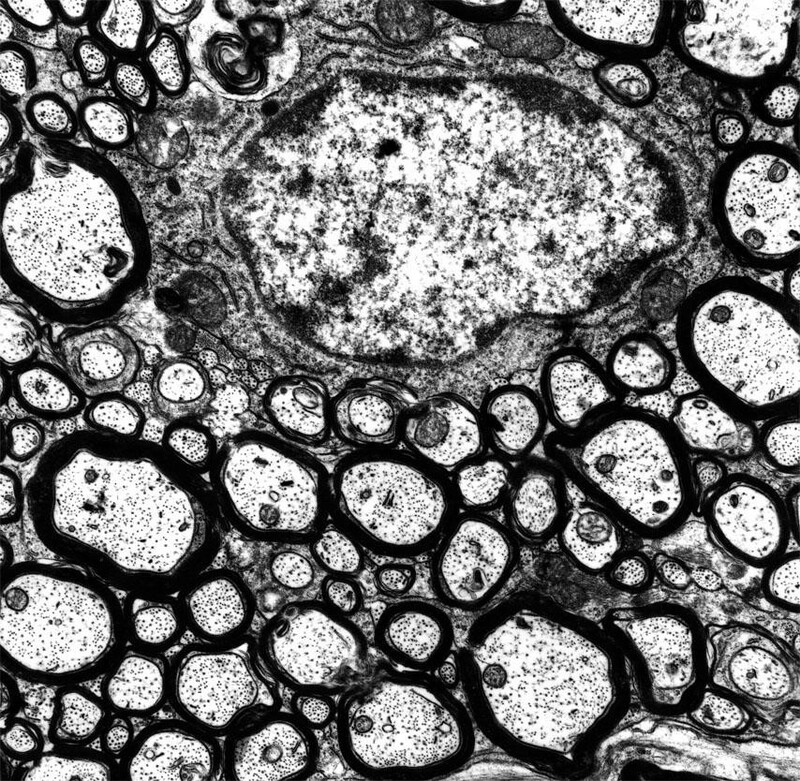 Abnormal axon-glia interaction and defects in myelin formation result in demyelinating diseases such as leukodystrophies and hereditary neuropathies, which are characterized by severe neurodegeneration resulting in long term disability and in severe cases premature death. In the common demyelinating disease Multiple Sclerosis similar symptoms arise due to destruction of the myelin sheath by invading immune cells. 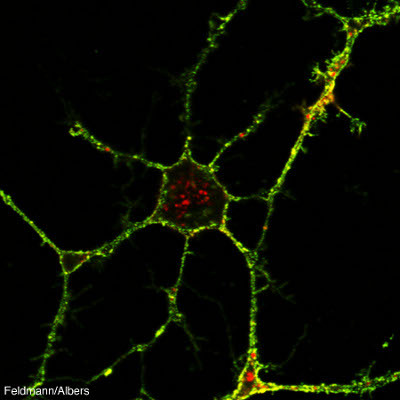 We are studying the properties of oligodendrocyte precursor cells (OPC) and the molecular mechanisms of CNS myelin formation. This includes migration to and recognition of axons by OPC, development of oligodendrocytes from precursors, and regulation of membrane trafficking pathways orchestrating the assembly of the myelin sheath during developmental myelination and resynthesis of myelin (remyelination) in disease. We approach these questions utilising methods of molecular cell biology (including proteome, transcriptome, biochemical and microscopic analyses) and transgenic mice.